Sick of clicking through dozens of “creeps” on Tinder just so you can find a nice guy/gal to connect with? A new dating site feels your pain and has developed a system to try and weed them out for you. The Grade rates users based on how appropriate and respectful their online profiles and messages are so you don’t have to. Gizmodo reports about the new dating app that pulls a user’s pictures and interests from their Facebook profiles and then grades them on the A – F system. They can also rate users based on their “message quality”. So if a user happens to send you an inappropriate picture or comes on a little too strong, chances are their dating grade will suffer. Message quality is also graded on grammar and spelling (so users best be using spellcheck!). Now if you happen to receive a poor grade that doesn’t mean you’re dating life has to suffer. The Grade allows users to repeal their grade by writing a detailed message about why they think they have been misunderstood and deserve a better grade. Who knows, maybe just the idea of joining a dating site that is based on grades will make everyone be on their best behavior. What do you think of the new dating app that rates users based on their behavior? 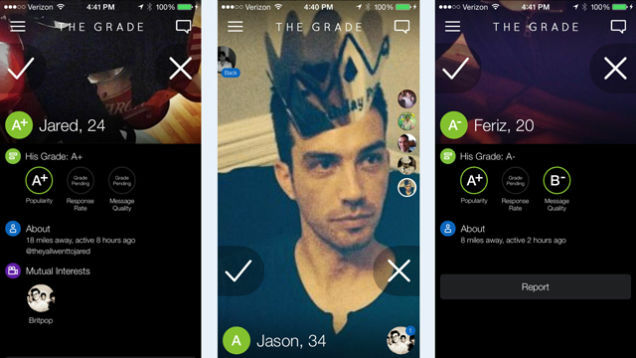 Do you think The Grade can help weed out the creeps and make using the app a little easier? 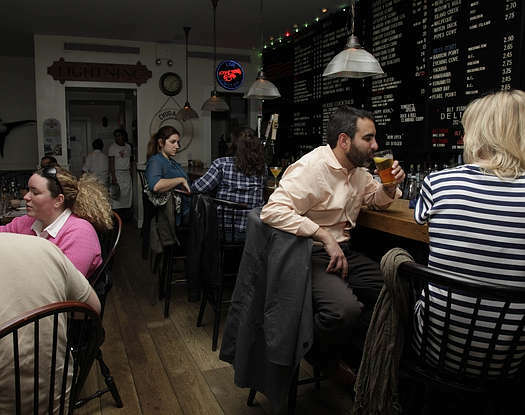 With 19 states currently prohibiting drink discounts, there is talk that New York City may join in on the happy hour ban.